Known for the power and durability of its bats, Marucci prides itself on being founded, majority owned, and operated by big leaguers. On top of being the number one bat in the big leagues, it was one the first companies to acquire a FlightScope Strike.The Strike’s instant feedback allows Marucci to test new bat prototypes and focus on specific data parameters to help gauge how each bat is performing. According to Ryder Dupuis, Marucci Aluminum & Composite Bat Product Category Manager, the company focuses on a few specific FlightScope data parameters including exit speed, launch angles, spin, and carry.“The FlightScope Strike has made gathering bat performance data much quicker and more precise," said Dupuis. 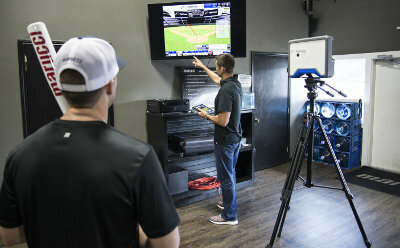 "The setup and teardown takes only minutes, and having the wireless capabilities using the Strike App makes the testing sessions much more effective and efficient.”For more information about FlightScope Strike visit flightscope.com/baseball.